It is Sunday today, which means that it’s high time I told you about the most interesting posts of the past seven days. Most of the articles this week deal with Apple’s iPad Pro and that is not strange since the device has just gone on sale in a number of countries worldwide. 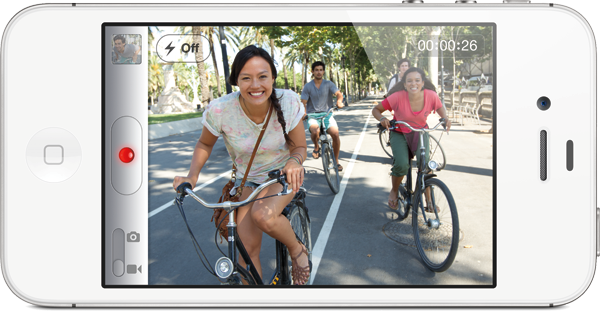 There are some posts about the Apple Watch and the next-generation iPhone. Apple on Friday seeded the first OS X 10.9.1 Mavericks beta to developers. As noted by the guys from Cupertino, this is a maintenance and security update that aims at improving Mail, Graphics, and VoiceOver features of the operating system for Macs. Apple is currently selling redemption codes for OS X 10.7 Lion and OS X 10.8 Mountain Lion. These two versions of the Apple’s operating systems are pretty cheap now - the price is only $20 for each one. That’s a good deal, I must admit. 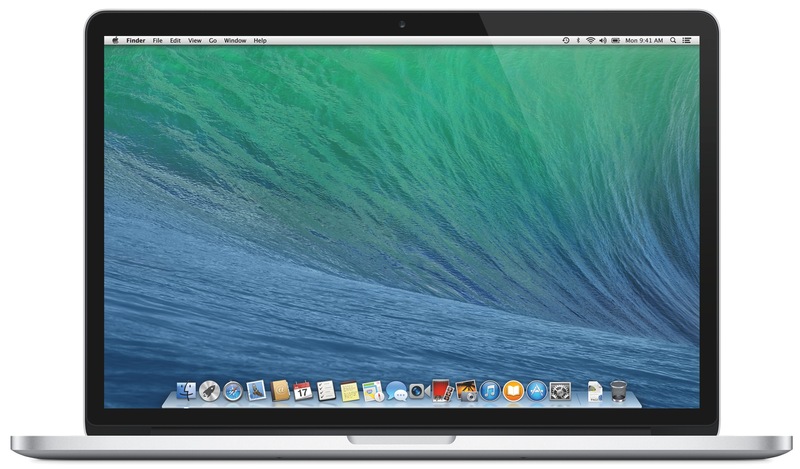 Apple released OS X 10.9 Mavericks on Tuesday and made the new operating system free for all Mac users worldwide. If you still haven’t downloaded it, visit the Mac App Store and take advantage of the new software. 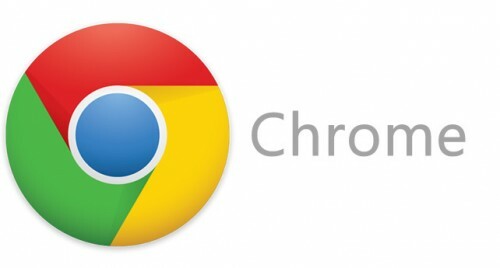 Web analytics company Net Applications published (via Computerworld) its data on browser usage, noting that now OS X Mountain Lion is the most popular version of Apple’s OS X, even though it was released just five months ago. 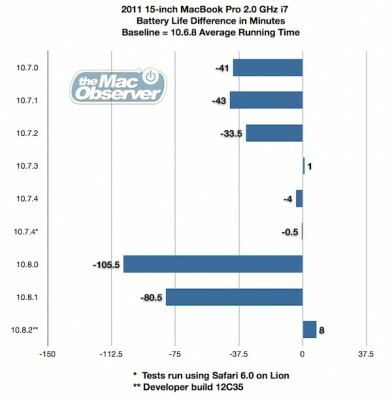 The unscientific test carried out by The Mac Observer claims to show significant boost in MacBook battery life using a new developer build 12C35 of OS X Mountain Lion, with the latest beta showing an 85-minute increase from the current 10.8.1. Using OS X 10.6.8 Snow Leopard as a baseline, the compiled test data showed a significant hit to battery performance with the introductions of 10.7 Lion and 10.8 Mountain Lion. 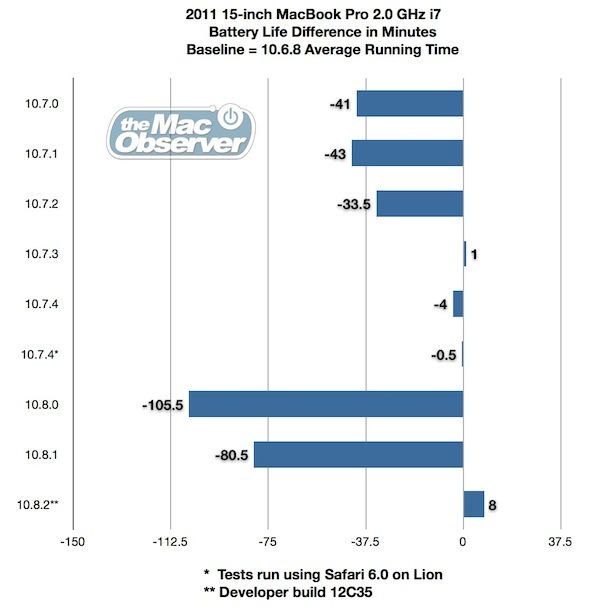 Upon release, Lion lost over 40 minutes of battery life and took three revisions to regain Snow Leopard power efficiency. In contrast, Mountain Lion saw a huge 105 minute loss in battery performance when it was released in July, with the latest 10.8.1 version moving the OS only 30 minutes closer to baseline. The latest monthly data of desktop operating shares from Net Applications shows that total Web usage of Apple's OS X operating system has exceeded Microsoft's Windows Vista. Microsoft's Windows Vista fell in August to 6.15 percent of tracked Web usage. 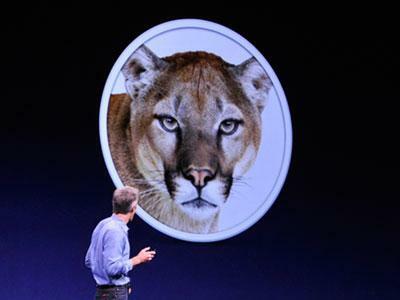 Meanwhile, Apple's latest operating system, OS X 10.8 Mountain Lion, grew to 1.34 percent. 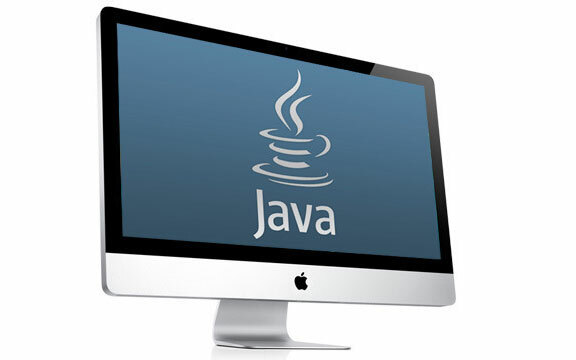 Researchers announced on this Monday that they had discovered vulnerability in Java 7. Hackers can use the bug to compromise any system through a web browser running the latest Java software, reports Tod Beardsley, engineering manager for open-source testing framework. 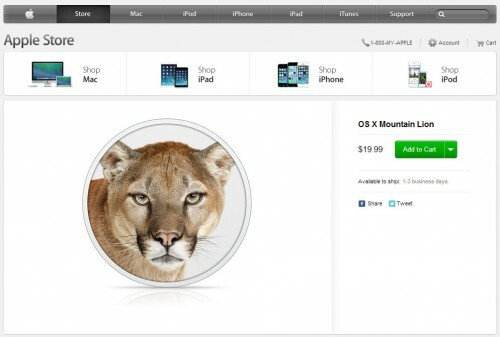 Apple Plans To Launch OS X Mountain Lion In Late July? At Worldwide Developers Conference this month, Apple announced that it would release OS X Mountain Lion through its Mac App Store in July. Apple also said that users of Snow Leopard and OS X Lion would buy the new OS at an upgrade price of $19.90. After the conference keynote, the company also issued a “near-final” build of its new OS to developers for testing purposes. 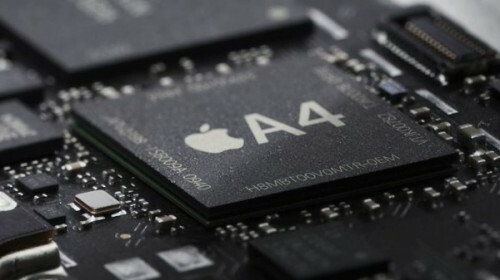 Analyst Gene Munster with Piper Jaffray expects that Apple plans to launch its sixth-generation iPhone before October of this year and with LTE 4G connectivity. Last year's iPhone 4S launch was uncharacteristic for Apple, which had previously introduced new handsets at its Worldwide Developers Conference in June. "It is more likely the phone launches in October given Qualcomm commentary around 28nm chip supply," he said. "We believe Apple will include LTE in the iPhone 5 as an important feature in the product update." In 2010, Tristan Schaap, who now serves as a Core OS engineer at Apple, published a Bachelor thesis on his 12-week stint as an intern with Apple's Platform Technologies Group, a subdivision of the Core OS department. The thesis revealed that the former Apple intern had been working on the secret project to port Mac OS X Snow Leopard to the ARM architecture. According to the paper, Schaap worked with the group to get Darwin, the "lower half" of Apple's Mac OS X operating system, to boot onto an ARM processor from Marvell. During the course of the project, he achieved his goal of "booting into a multi-user prompt," though some issues still remained due to a "poor implementation on the debug hardware." The latest figures from Net Applications show that Apple closed out 2011 with a commanding 52.1 percent share of mobile devices tracked browsing the Web. In second place was Java ME with 21.3 percent, while Google's Android came in third with just 16.2 percent. 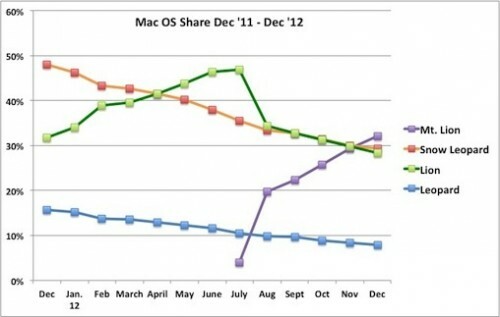 Apple's share slid from 54 percent in November of 2011, and is down from its high of 61.5 percent in October. But it's also up from the 46.6 percent share iOS was tracked at in February of 2011. Coming in fourth in the data was Nokia's Symbian platform, with 5.8 percent, while Research in Motion's BlackBerry holds 3.5 percent. Interestingly, while sales of new BlackBerry devices have been weak, December of 2011 proved to be the best month of the year for RIM. If dividing Apple’s devices shares in mobile web-browsing, the iPhone took 25.2 percent and leads all mobile devices. The iPad, though, was the second most popular device, with a 24.5 percent representation. In the PC market Apple’s Macs platform finished with 6.4 percent in December of 2011 comparing with the 92.2 percent share Microsoft held with Windows. Windows XP, despite being 10 years old, is still leading the market with 46.5 percent. Windows 7 is in second with 37 percent, while Windows Vista holds 8.44 percent. 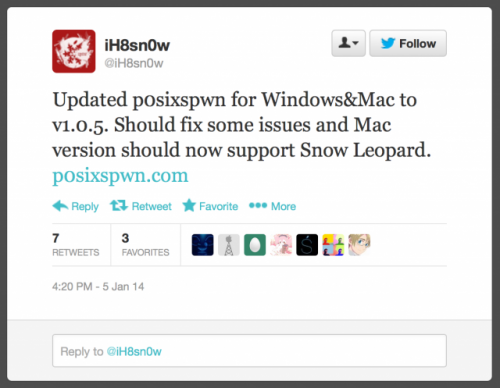 As for Apple's Mac OS X, Mac OS X 10.6 Snow Leopard platform remains its most popular at 3 percent, Mac OS X 10.7 Lion, released in July, closed out 2011 with a 2 percent share in December.